• Through the years we’ve evolved to become what we call “A Fine Wine Ecosystem”. That’s all things handmade and world class in the fine wine space, except the wine itself. 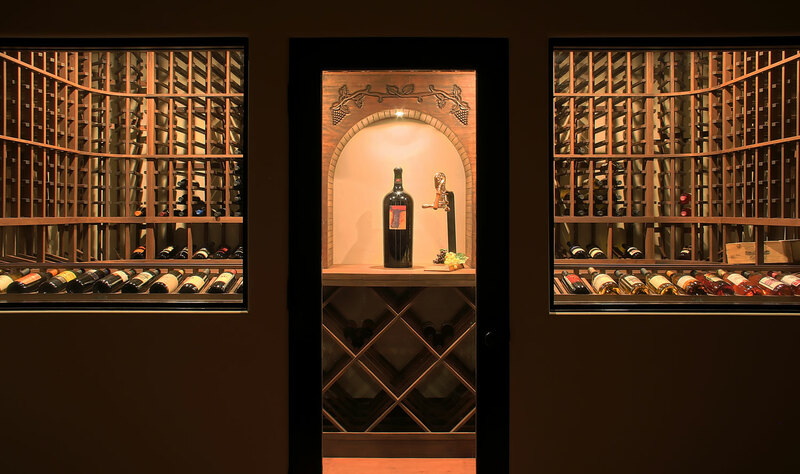 • We’ll design a wonderful, artistic, custom wine cellar for you and your fine wine collection. Whether it’s an aesthetically beautiful design or completely utilitarian, we’ll provide the perfect environment to enjoy your fine wine, for years and years to come, while properly preserving your fine wine in First Class Provenance. 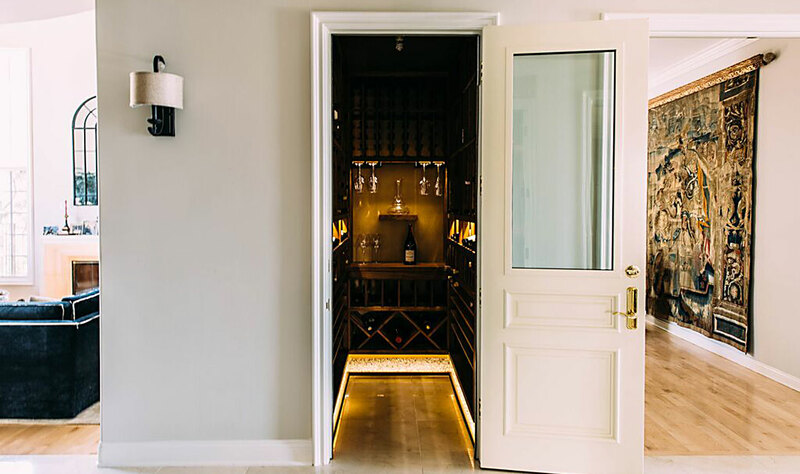 With over 100 years of combined industry experience, Premier Cru Wine Cellars brings high-quality, elegance, and truly tasteful wine cellar designs to life! With a B-1 General Contracting License, we’re your One-Stop-Shop for all of your wine cellar design & Construction needs; 1-Company 1-Call. Elevate your fine wine experience, just click sales@pcwinecellar.com or call (310) 289-1221. For on-site Wine Cellar Consultation, Design and Installations we serve Los Angeles, Ventura, Santa Barbara, and Napa County’s. For custom designed wine racks, custom wine cellar designs and direct rack-system delivery, we provide these services to you–across the nation–and deliver custom designed & built wine racks right to your door. Just Call our Sales/Design Dept. at (310) 289-1221, Ext. 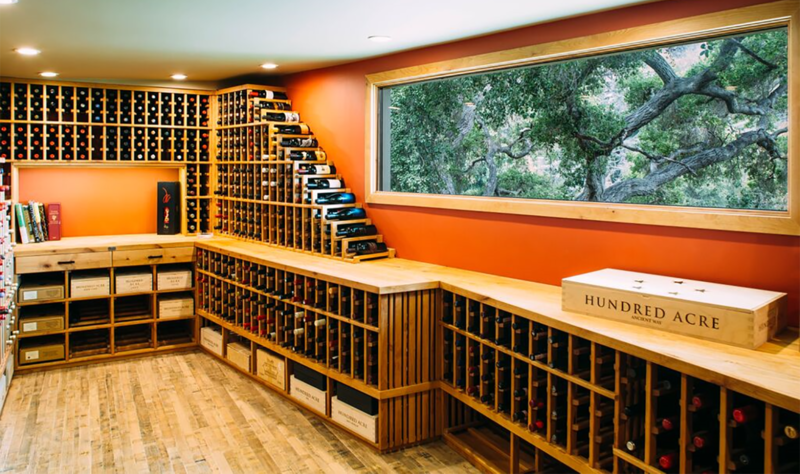 1 to begin your custom wine cellar today! GOT SERVICE? 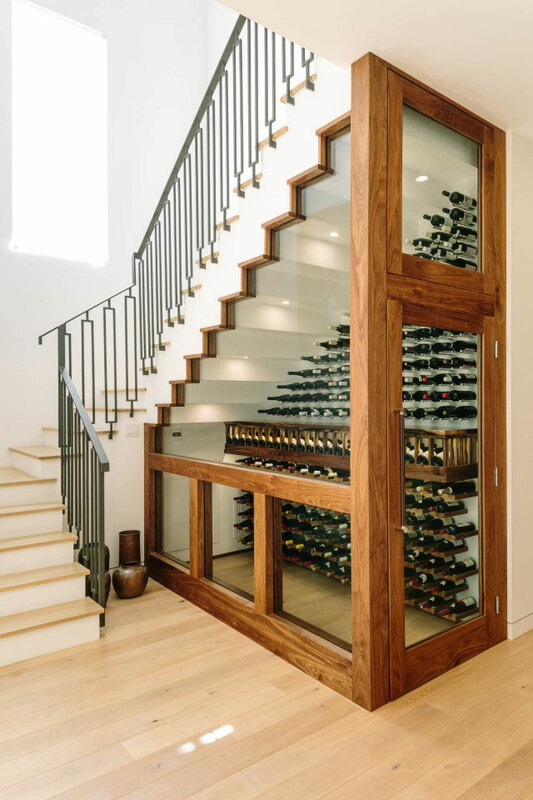 We provide long-term wine cellar maintenance, service, and repair for your wine cellar refrigeration cooling system in Los Angeles and Ventura County’s, through our Service & Repair Division! Just a click or call www.WineCellarRepair.com (310) 289-1221, Ext. 3 – on demand – when your wine cellar refrigeration system needs service right-now. Just contact our wine cellar Maintenance, Service and Repair Division at: www.WineCellarRepair.com. Once your wine cellar system is checked-up, we’ll offer you a Preventive Maintenance Program to help find the sign of a potential problem – and, if found – repair it early, before your wine cellar cooling system fails to operate normally. Premier Cru, Inc. carries a B-01 General Contractors License (No. 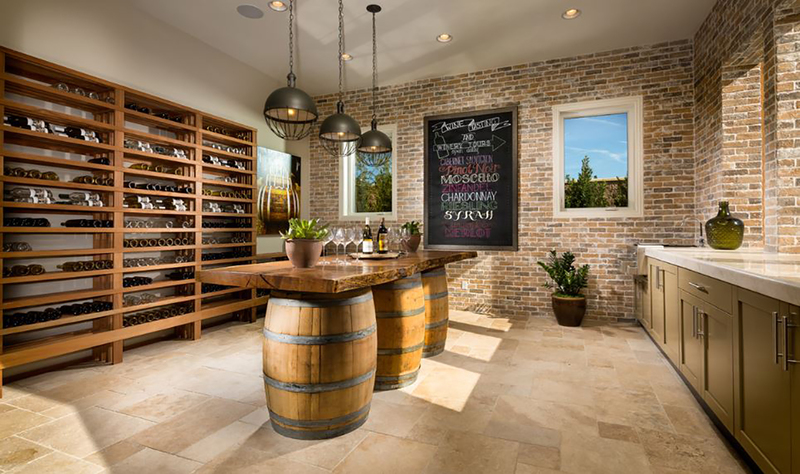 891727) enabling us to carry-out all of your construction needs during the installation of your custom wine cellar; we’re your ONE-STOP-SHOP. More than a mission… it’s a passion! At Premier Cru Wine Cellars our mission is to build high-quality custom wine cellars that will inspire even the most discriminating wine connoisseur, collector, and enthusiast; properly preserving and enhancing fine wine in an environment that is beautiful, functional, and energy efficient. We strive to bring these elements together to increase the overall value and enjoyment of your wine collection. We implement superior design, coupled with hi-tech construction materials, and formidable climate control methods during construction then finishing with authentic old-world quality craftsmanship; all resulting in First Class Provenance. From the Earth to the vine and from the grape to the bottle, then to the cellar to be “laid-down”. Fine wine requires earth-like conditions for proper aging and to be revealed, with time, in pristine condition. Fine wine belongs in a cellar having the essence of being within the earth. At Premier Cru Wine Cellars we understand that each client has a need for that unique approach to the preservation of fine wine tailored to their specific cellar location. 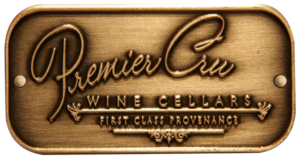 Premier Cru Wine Cellars will help protect your investment with the genuine and authentic quality required to provide optimal conditions to cellar fine wine. This requires a wine cellar that’s designed and built right, stands the test of time, and provides pristine provenance to preserve, enhance (reaching its fullest potential) and increase the value and enjoyment of your fine wine for decades to come. Thank you for stopping by our website and fine-wine accessory boutique. If you love fine wine, great design and wish to surround yourself with meaningful and beautiful treasures, then you’ve come to the right place. Thoughtful and artistic design feels good to the eye, we enjoy it, we live with it and we strive to reward ourselves with these special and most beautiful compliments; for a lifestyle well-deserved and a passion fulfilled. Premier Cru Wine Cellars follows a discipline of pleasing the eye by staying true to our sense of style and design; building beautiful forms of art in the context of custom wine cellars and the elegant handcrafted selections offered to you in Premier Cru Collection. My journey began in the construction industry in 1978, spending over 29 years in a family owned-and-operated construction business. During the last two years of that business I began to think about the next leg of my journey. knowing that, once the decision was made, I would put 100% of all of my energy, effort and resources into this new vision which would later become Premier Cru Wine Cellars. With my broad and longstanding construction career, in addition to a high level of integrity, credibility and trust I had garnered during my tenure, I decided that I would make a new beginning in the fine wine industry. I wanted to create something that addressed my passion and love for fine wine, but, that was rooted in the construction industry where I could graft all of the goodwill and relationships I had earned during my previous construction career. In October 2006 I began Premier Cru Wine Cellars, incorporated in February 2007 as Premier Cru, Inc. and later in 2012 introduced Premier Cru Collection, launching the only world class fine wine accessory brand delivering only handmade pieces that are artistic, beautiful and wine related; a brand innovation. Since introducing Premier Cru Wine Cellars, artistic talents flourished and have been refined to a point where fluid, comprehensive and a valid artistic vision is realized upon seeing each new space. My clients, however, deserve much of the credit for our artistic success due to their appetite for something avant-garde in valid-artistry, allowing Premier Cru Wine Cellars to fulfill a vision for their wine cellar. And, finally… Please, feel free to browse through our online boutique and pick-out something for a good friend, associate, loved-one or simply come-up with any reason you like to spoil yourself – I’m sure you deserve it! 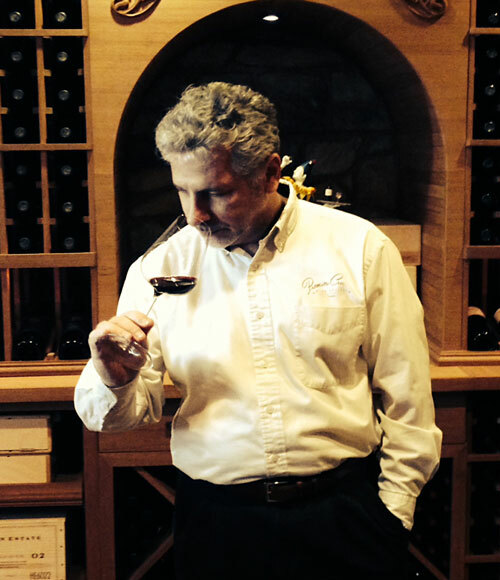 Thank you, very much for taking the time to learn about Premier Cru Wine Cellars and enjoy the rest of your visit. Cheers!